Caudalie Review: Are Natural, Clean Cosmetics the Secret to Anti-Aging? This post includes products from one of our advertisers. We may receive compensation when you click on links to those products. YourSkinOnline.com believes in giving 100% honest reviews and feedback to benefit our readers, and advertiser compensation is used to keep this site open! Caudalie is a natural, cutting-edge skin care line which has made a name for itself thanks to its anti-aging technologies. The French company offers an extensive line of products utilizing their patented anti-aging technology, helping to slow the impact of aging on the skin. Products in the range are available on their website and orders received by 12:00 EST Monday through Thursday will be shipped with 24 hours of receipt of order. Orders received after 12:00 and during weekends will be shipped the next business day. At the heart of this product range is their patented grape-based creams, scrubs and serums. Anti-aging technologies are at the heart of many of their products. They appeal to people at many stages of life and you can use their creams and serums whether you’re attempting to delay already-forming signs of aging or to prevent them developing in the first place. Harnessing the power of natural ingredients and their active ingredients, products from this French cosmetics company work to rejuvenate, luminate and hydrate the skin. This company thrive on their natural ingredients and bringing the essence of the grape to their products. From the smell to the consistency to the way they absorb into the skin, the grape extract, water and oils used in these products is what ensures they are a unique choice for your skin. This company has a natural and ethical approach to their products. They contain 0% parabens, phenoxyethanol, phthalates, mineral oils, sodium laureth sulfate or active animal ingredients. They are against animal testing and avoid it wherever possible. All products have great fragrances which give a fantastic first impression. Packaging and bottling is of the highest quality, with great branding and a truly cohesive image. There is some ambiguity around the active ingredients in some of the products, with little or limited information explaining how they actually work. Some consumers report irritation when using certain products. The classic scent and stylish design of products from this brand is what first attracts many users. They feel great on the skin without any greasy residue and some of the sprays and mists are particularly refreshing. Despite the noticeably high price points, a little of the products go a long way which helps to counterbalance the prices. Some reviewers have sadly been left disappointed by the effectiveness of products. While this could be due to not giving them enough time to work, there is a question mark over the effectiveness of some of the anti-aging range and also those purporting to increase skin radiance and luminosity. 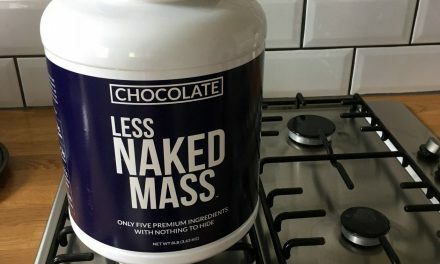 How Long Does this Product Take to Work? With a vast range of products in their range the effectiveness varies and the time you can expect them to work in varies too. Cleansers and toners can instantly make your skin feel fresher and cleaner, whereas products with anti-aging properties may take a lot longer to have an effect. Customer feedback suggests results from anti-aging products may take up to 4 weeks or longer. Many of the products in this range should be used daily to achieve the best results. Each comes with directions for use to ensure the best results. Scrubs, exfoliants and similar products are usually used less frequently due to a tendency to irritate if over-used. Products in this range are not tested on animals in most countries. However, as they sell their products in China, they cannot guarantee no animal testing is carried out. They describe themselves as against animal testing and they expect their suppliers to be against animal testing too. A French term, this word is the name for the unit to measure how long the flavor of a wine lingers in the mouth. 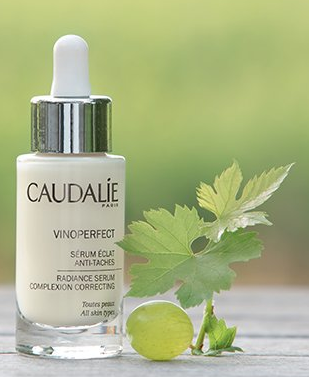 A quality wine will be made of up many caudalies and this in turn, gives the name to this premium cosmetics brand. A family business, this brand was launched by Mathilde Thomas and her husband Bertrand. Mathilde graduated from business school before working in Perfume Series in Grasse on the French Riviera. Together with her husband, Mathilde launched Caudalie in 1995. The product range began with just three lines, all containing grape-seed polyphenols, known for their anti-aging properties. From this point they quickly expanded with their first Vinothérapie Spa launched in 1999 and Caudalie USA launched in 2001. Ingredients in their range are still derived from grapes and the grapevine and they Thomas family remain at the heart of all operations. 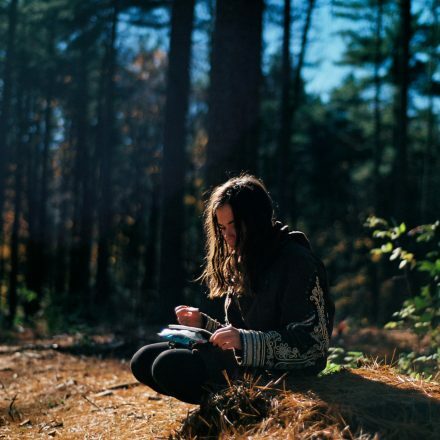 The company is committed to its ethos of Cosmo-Ethics and the company is a member of organizations such as WWF, 1% for the Planet and Couer de Forêt. Part of their commitment to the planet sees them involved with tree planting around the world and giving a percentage of their profits back to the earth. 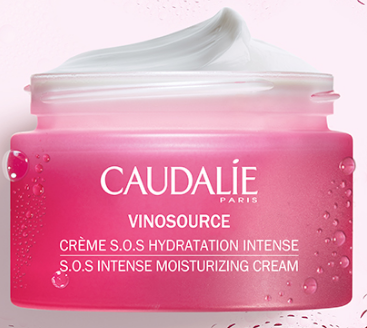 Click the Button Below to Experience Caudalie for Yourself! NextGlass Skin: True Trend Or Foreign Fantasy? 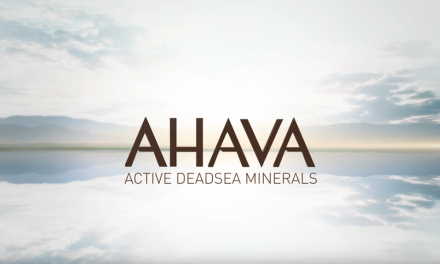 Ahava Review: Is This the Best Natural Skincare Choice? 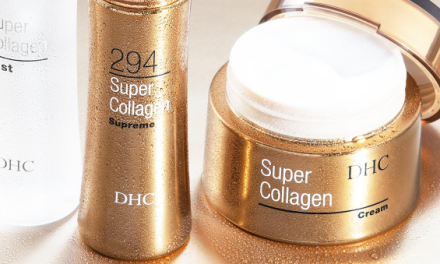 DHC Skincare Review: Is This Disruptive Japanese Brand The Next Big Thing In Beauty? 3lab Review: Is This the Perfect Anti-Aging Cream for You?